Huw Montague Rendall is a Jerwood Young Artist and a member of the 2016 Glyndebourne Festival Chorus. We caught up with him to see how he’s been enjoying the summer so far. What are you doing during Festival 2016? As a Jerwood Young Artist I’m lucky enough to be coached on repertoire by some of the most distinguished artists in the world. In Festival 2016 I’m singing in the choruses of Die Meistersinger von Nürnberg, Le nozze di Figaro, Béatrice et Bénédict and Il barbiere di Siviglia, in which I also sing Fiorello, which means I actually open the show. What is a typical day during the Festival like for you? A day usually consists of rehearsals from 10.30am-1.30pm, a lunch break from 1.30pm-2.30pm, and more rehearsals from 2.30pm-5.50pm. If we only have a morning rehearsals session, in the free afternoon session we sometimes have coaching or costume fittings depending on the time of season. I’ve had the most incredible time with colleagues new and old this year, between rehearsals and concerts, which allow us to perform new repertoire in a safe environment and also polish arias and songs we’re more familiar with. Looking back on my time in the chorus for Meistersinger, I can only smile. The whole process was so fantastic. Every rehearsal was planned exceptionally and we got so much out of each one. 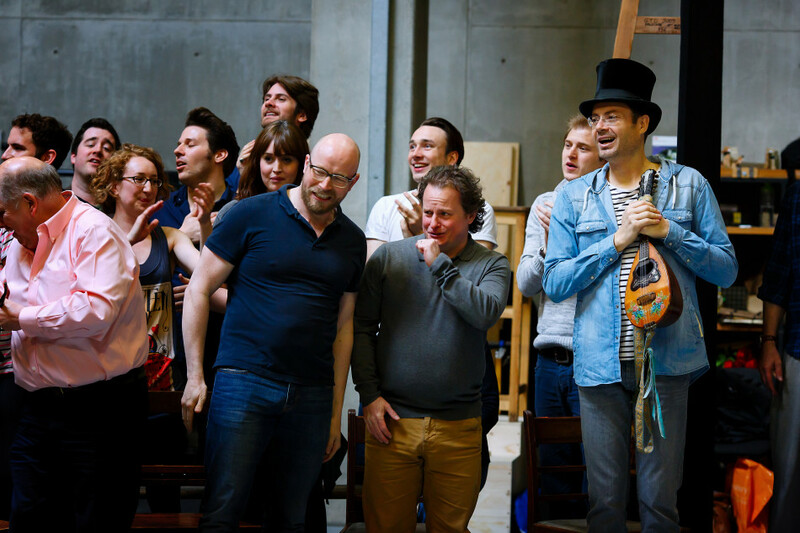 One thing I particularly remember is watching Jochen Kupfer and Gerald Finley singing Act II of Meistersinger in the rehearsal room. This was a huge moment for me – it really made me realise how lucky I am to do what I do. Having the opportunity to sing the role of Fiorello in Il barbiere di Siviglia has been such a learning experience. And to have been able to create the character in a new production is thrilling. During the rehearsal process we threw around different ideas and experimented lots – exploring different walks, expressions and relationships between characters until we found the right one. Even now in the performances we still mix it up to keep it fresh. 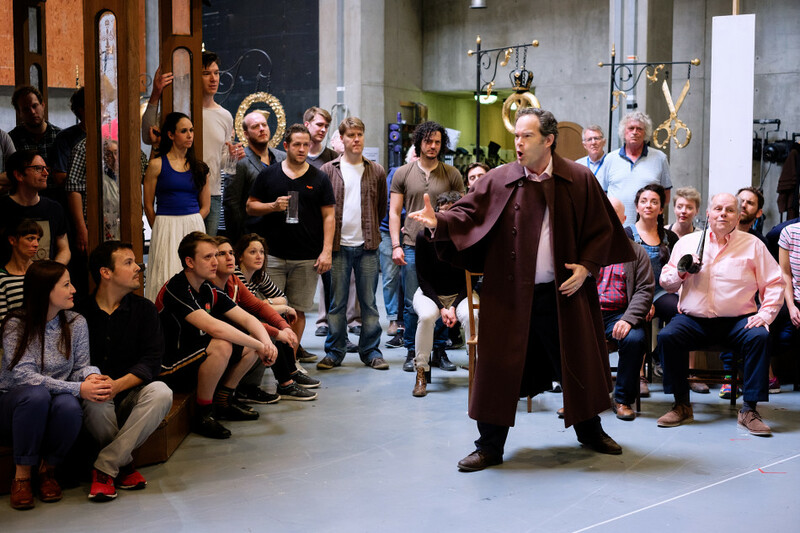 How will being part of the Glyndebourne Chorus contribute to your career? Being in the Glyndebourne Chorus is a huge part of many young singers’ lives and one that hopefully remains with them. This will certainly be the case for me. Being a Jerwood Young Artist has many rewards for me – not only am I able to learn from incredible coaches, but I’m also given a brilliant platform to perform on one of the world’s leading opera stages. My time so far at Glyndebourne has been one I’ll never forget and I hope I can return again in the future. The only piece of advice I’d offer to anyone thinking about a career in opera is to do it because you love it. If you do that, you’ll be fine. Be honest with yourself and it will shine through in your singing. Before starting on the Jerwood Young Artist programme, Huw Montague Rendall was studying at the Royal College of Music with Russell Smythe, having previously studied with David Rendall and Philip Doghan. The Jerwood Young Artist Programme is made possible thanks to support from the Jerwood Charitable Foundation. Glyndebourne invests significantly in developing artists of the future through the New Generation Programme. 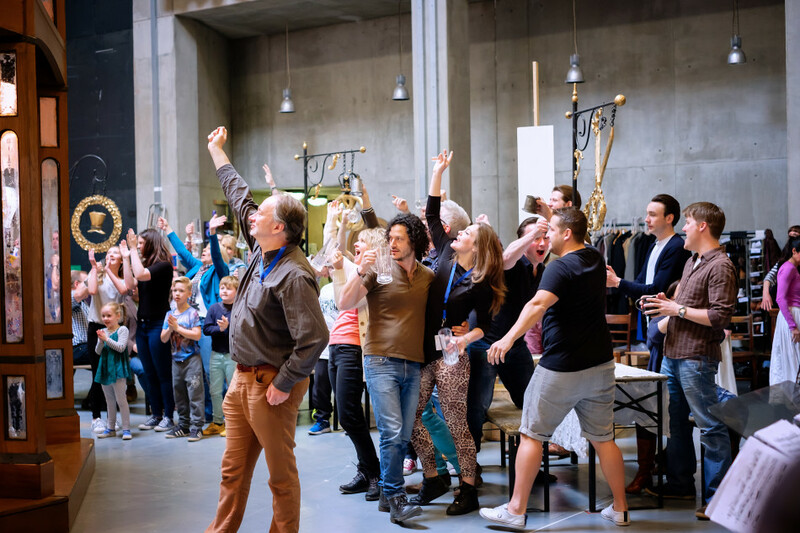 If you’re passionate about opera and would like to help young people break into opera singing, please do get in touch with our Development team – we’d love to hear from you.